Provide comfort for the family of Conrad Dixon with a meaningful gesture of sympathy. Springfield - Conrad Dixon, 32, departed this life on Monday, March 18th, 2019 at South Carolina. 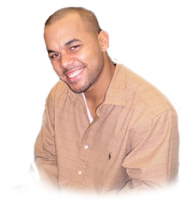 Conrad was born in Springfield, Massachusetts on December 31st, 1986 to his parents LeVonne Dixon and Kelly Dixon. Conrad was predeceased by his paternal grandmother; Phyllis Dixon. Conrad was very family orientated ," family was always first", He attended York Technical Community College in Rock Hill South Carolina. Conrad was loved by his family. he leaves to cherish his memories, his parents LeVonne and Kelly Dixon, a Son; Cam-Ron Dixon, his Brother; Tyriek Dixon and Sigrid Rivera, his Nephew; Josiah, his maternal grandmother; Leslie Carter. Conrad had a host of Uncle, Aunts and Cousins, family and friends. Calling hours will be on Tuesday, April 2nd, 2019 from 6:00 pm 8:00 pm at Puerta Del Cielo® Funeral Home 730 State Street Springfield, MA 01109 disposition will be private. To send flowers in memory of Conrad Dixon, please visit our Heartfelt Sympathies Store. We encourage you to share your most beloved memories of Conrad here, so that the family and other loved ones can always see it. You can upload cherished photographs, or share your favorite stories, and can even comment on those shared by others. Provide comfort for the family of Conrad Dixon by sending flowers.